The economies of the developing world will feel the earliest and greatest impact from bitcoin. Not only are bitcoin’s enormous benefits very personal, they are also contextual depending on your political geography. Individuals residing in high-inflation countries with relatively sufficient Internet access as a percentage of population do seek refuge in bitcoin. The worst offenders depriving their subjects of monetary stability or a reasonable – albeit ‘coerced’ – store of value are the dictatorial regimes in politically tumultuous countries like Belarus, Sudan, Syria, Iran, Ethiopia, Malawi, Venezuela, Burundi, Yemen, and Tanzania. Incidentally, those countries also form the top 10 country list for annual inflation rate according to the World Bank and International Monetary Fund data for 2012. Topping the list is Ukraine’s neighbour Belarus, with an annual inflation rate of 59.2%. Ruled by President Alexander Lukashenko since 1994, Belarus is known as Europe’s last dictatorship. While shocking, that inflation rate is actually down from 2011, when a financial crisis triggered a peak rate of 109%. Venezuela comes in at #7 worldwide, with an annual inflation rate of 21.1%. Price controls, capital flight, food shortages, and electricity blackouts are now pushing Venezuela toward the brink. The Heritage Foundation’s Index of Economic Freedom highlights the massive potential for bitcoin in a world of abusive monetary authorities. Not surprisingly, these countries also rank very low for Internet penetration as a percentage of country’s total population when compared to US at 81.0% and UK at 87.0%. Where it becomes interesting is when we look at high-inflation monetary regimes coupled with strong and growing Internet penetration. Notably, the countries with the highest inflation rates that also have reasonable access to Internet connectivity tend to be relatively active on the bitcoin network of active global nodes. Belarus with 46.9% Internet penetration, Venezuela with 44.0%, India with 12.6%, Vietnam with 39.5%, and Turkey with 45.1% are all disproportionately high outlets for active bitcoin nodes (ranking #51, #50, #54, #48, and #45 respectively). These countries are also in the top rankings for annual inflation with rates exceeding 9% or 10% during 2012. Argentina demonstrates the prime example of bitcoin solving an issue of monetary justice related to persistent debasement of the national currency (the peso). The country has merely 55.8% Internet penetration as a percentage of total population and yet ranks #26 in terms of active bitcoin nodes globally. Clearly, Argentinians have a strong desire to protect their long-term purchasing power and regain control over their monetary lives. High inflation rates coupled with high Internet connectivity tends to lead to bitcoin. Graphic: World map of 24-hour relative average utilization of IPv4 addresses observed using ICMP ping requests as part of the Internet Census of 2012 (Carna Botnet), June – October 2012. Key: from red (high), to yellow, green (average), light blue, and dark blue (low). 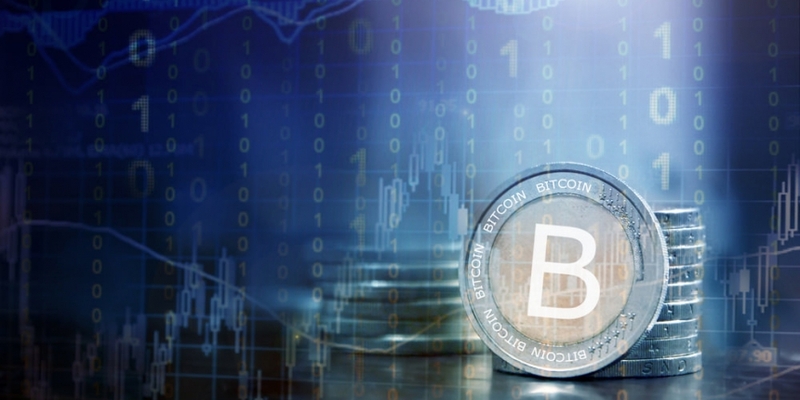 Certainly, bitcoin exhibits short term volatility as a young medium of exchange attempting to find its footing against the tide of sporadic liquidity, bank account closures, and government-threatened bans. In the intermediate term, bitcoin’s predictable scarcity makes it a sought-after commodity when compared to fiat currencies. Bitcoin’s price chart is a story of price appreciation, or increased purchasing power, for the decentralized currency and its global community of users. Time horizon is important and indeed bitcoin can be seen as either currency or commodity, as the IRS has recently affirmed. Measured over two years in USD, bitcoin exhibits tremendous increases in purchasing power and, in that way, bitcoin is similar to gold. Another way of examining bitcoin purchasing power is to express the gold price in BTC. It is rare that a national, or centralized, fiat currency with predictable depreciation would retain or increase its purchasing power in such a way. We can kid ourselves that the US or EU won’t see the types of inflation rates that we see from the world’s worst offenders because, for now, the USD and the euro have privileged reserve currency status and this mitigates or absorbs the hidden abuse. The primary appeal of bitcoin in the developed world is the retention of some remnants of privacy and the occasional opportunity to challenge the monopolistic payment giants like VISA and PayPal. Not so in the the still developing regions where other bitcoin attributes take precedence. In addition to bitcoin as a digital store of value across all jurisdictions, bitcoin’s resiliency to shutdown and immunity from confiscation lie at the heart of its monetary justice properties. Moreover, fear not deflation, for deflation is the friend of liberty.